Massage Therapist Pamela Kats has been practicing in the field of massage therapy for 20 years. She graduated from the Professional Institute of Massage Therapy in Saskatoon, Saskatchewan in 1996. She has practiced in a variety of settings since then. As a massage therapist, Massage Therapist Pamela Kats believes in guiding her clients’ bodies through their natural healing process. It is important for Pam to make sure she educates her clients on what is happening with their bodies, so that they can ultimately be in charge of the healing process and prolong the benefits of the massage therapy sessions that she provides. 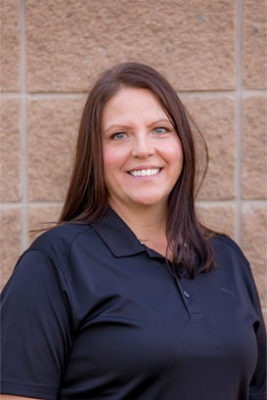 When developing massage therapy care for your body Pam will use her knowledge in Swedish Massage, Neuromuscular Therapy, Myofascial Cupping & Release and Nerve Mobilization. Pam is certified in Pre & Postnatal Massage and enjoys providing massage therapy during this exciting time. Along with massage for mom, Pam also enjoys instructing Infant Massage to parents. Massage Therapist Pamela Kats is committed to improving the profession of massage therapy within Alberta and is an active member of the Massage Therapist Association of Alberta.